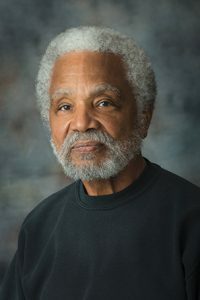 As introduced by Omaha Sen. Ernie Chambers, LB449 would repeal the Black-Tailed Prairie Dog Management Act and would remove the state Department of Agriculture director’s authority to contract with the Animal and Plant Health Inspection Service of the U.S. Department of Agriculture to control black-tailed prairie dogs. Lawmakers voted 35-0 to adopt an Agriculture Committee amendment that would repeal the act but leave in place the department’s authority to work with the USDA to control black-tailed prairie dogs, in addition to other nuisance animals. Chambers said the law was unnecessary because Nebraska counties and cities already had the ability to work with APHIS to control prairie dogs. They would retain that authority under LB449 as amended, he added. Chambers said Sheridan County is the only county that has adopted a resolution to manage prairie dogs under the act, but it instead chose to work with APHIS to settle a dispute about an unmanaged prairie dog colony. The law requires a landowner to effectively manage prairie dog colonies on his or her property to prevent them from expanding to adjacent property if the owner objects. If a landowner does not provide evidence that a colony is being managed within 60 days of a county board’s notice, the county may enter the property to manage the prairie dogs. The landowner would be responsible for any expenses, and unpaid assessments would become a lien on the property. Landowners who do not comply also could receive a maximum fine of $1,500. The law allows a county to file a foreclosure suit to recover the debt. Chambers said a landowner could find himself in foreclosure based on an unsubstantiated complaint from a vindictive neighbor. Sen. Bob Krist of Omaha supported the bill, saying that it would not prevent landowners from controlling prairie dogs on their property. He said having both the counties and a federal agency involved in prairie dog management is a duplication of effort. While only one county has passed a resolution to create a prairie dog management plan, Krist said, more than 40 counties have worked with APHIS to achieve the same result. “It’s a ridiculous law that needs to be changed,” he said. O’Neill Sen. Tyson Larson filed a motion to indefinitely postpone the bill, saying that he could not support LB449 as amended. The motion failed on a 14-21 vote. Sen. Dan Hughes of Venango also opposed LB449, saying that prairie dogs are resilient pests that destroy crops and build colonies that can span hundreds of acres. He said the law allows landowners to seek county intervention when a neighbor is not willing to control prairie dogs on his or her land, rather than wait for assistance from a federal agency. “I think I have a better opportunity to get faster results going through the county than trying to go through the federal government,” Hughes said. Also in opposition was Sen. Curt Friesen of Henderson, who compared the act to nuisance laws in residential areas. If a neighbor keeps junked cars on his lawn, Friesen said, the city can take action to remove them. Prairie dogs, which can cause serious damage to the land, have a similar negative effect on property values, he added. “I don’t think it’s used a lot, but [the law] gives counties a tool that they can use to help control prairie dogs in their area,” Friesen said. 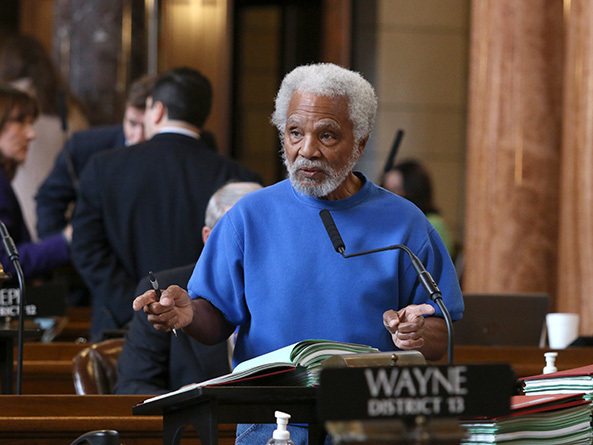 The bill’s advancement failed on a 21-17 vote. Twenty-five votes were needed.